This training area, within the academic strand, is designed for directors of studies, academic managers, leaders of teaching teams and teacher trainers. It will uncover the essential management tools needed to efficiently and effectively manage a team and move the team in the same direction. This academic management training programme will be directly relevant to individual contexts as participants are encouraged to bring along and examine their own, current management tools e.g. appraisal documents, handbooks, questionnaires, forms and schemes of work. Participants will also have the opportunity to share and discuss best practice in their own institutions as well as look at online management tools which will provide additional support in these areas. Academic management tools and their link to the Eaquals standards. By the end of the training programme participants will have evaluated, reflected and developed their own best practice in relation to management within their own context. They will have also found new ways of managing everyday problems faced by academic managers and directors of studies as well as assert themselves in their position as team leaders while developing the skills needed for clear communication and managing change. Julie Wallis has been director of The London School in Thiene, Italy for 25 years. The school is accredited ISO, Veneto Region, AISLi Eaquals and is currently undergoing IH World accreditation. She was the AISLi Educational Officer (www.aisli.it) for 8 years, organising national conferences and representing AISLi as a speaker at conferences around Europe. She currently holds a position on the committee and publishes materials, writes seminars, courses and workshops for the association. She has presented and run workshops at a number of international venues and published articles online and for a number of Educational magazines. 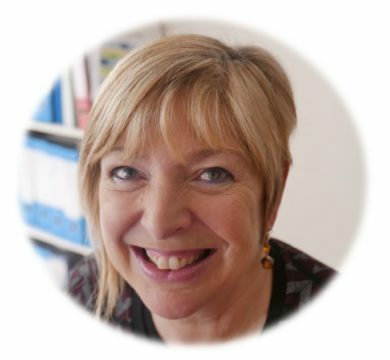 She works as a leadership coach, teacher trainer, materials developer and course writer. Her interest in CPD and quality learning has led her to become an inspector for both AISLi and Eaquals. She believes that working for a Learning Organisation means taking an interest in learning and developing organisations. Her own professional CPD includes working for well-known Teacher Training organisations such as BELL and Pilgrims.